St. Croix, USVI – Cane Bay Partners VI Co-Founders Kirk Chewning and David Johnson on Monday congratulated the eight St. Croix residents who competed in the Ironman 70.3 Puerto Rico on Sunday, March 20. 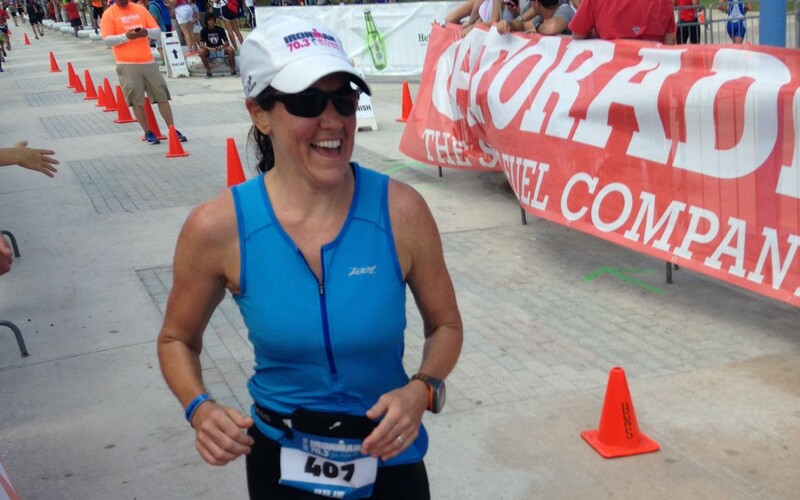 Representing Team Cane Bay VI was Julie Sommer, who placed seventh in her age division, 35-39, and 44th among all women competitors. 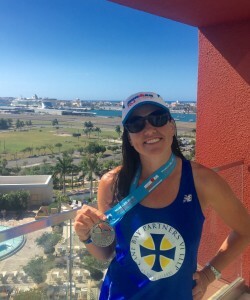 Sommer was part of a group of eight St. Croix residents competing in the Puerto Rico Ironman as the Virgin Islands Triathlon Club. The VITC placed fourth among participating clubs. Wayne Nichols of St. Croix placed 1st in his age group, 60-64. Other club members included Scott Fricks, Carol Fricks, Thomas Vandehey, Roberto Blewett, Troy Holloway and Robin Seila. They were one of five teams to qualify for entrance to the invitation-only club championship next year. The 1.2 mile swim takes place in the Condado Lagoon, the 56-mile bike course goes through five different municipalities toward the city of Dorado, and the 13.1-mile run goes through Old San Juan and the two Spanish forts, El Castillo San Filipe del Morro and San Cristobal. The race finished at the Parque del Tercer Milenio. There are more than 90 global Ironman 70.3 events, including one on Cane Bay Partner’s home island of St. Croix in May. Cane Bay Partners plans to sponsor several individual athletes, such as Julie Sommer, and for the first time a Cane Bay Partners VI team made up of Cane Bay Partners employees. Cane Bay Partners is committed to supporting enriching sporting activities. The company also supports participants of the St. Croix Ironman 70.3, the Scenic 50 race on St. Croix, the 8 Tuff Miles race on St. John, the Roseway World Ocean School, the Golden Hook Fishing Club, the Virgin Islands Bowling Federation, St. Croix Dolphins, the St. Croix Foundation VIPD Golf Tournament, the Special Olympics, the Police Athletic League, Frederiksted Community Boating and others. Check out Cane Bay Partners VI on Facebook.